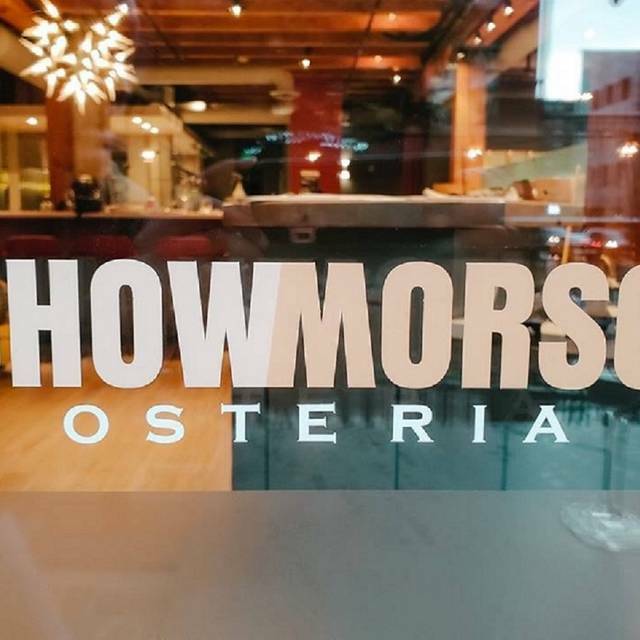 Chow Morso Osteria, the Italian eatery from the Barolo Group, is a casual, family-friendly Italian restaurant. At Chow Morso, you will find a full-service bar and an Italian beverage program with a wide selection of affordable wines inspired by Ryan Fletter, owner of both Chow Morso and Barolo Grill concepts. 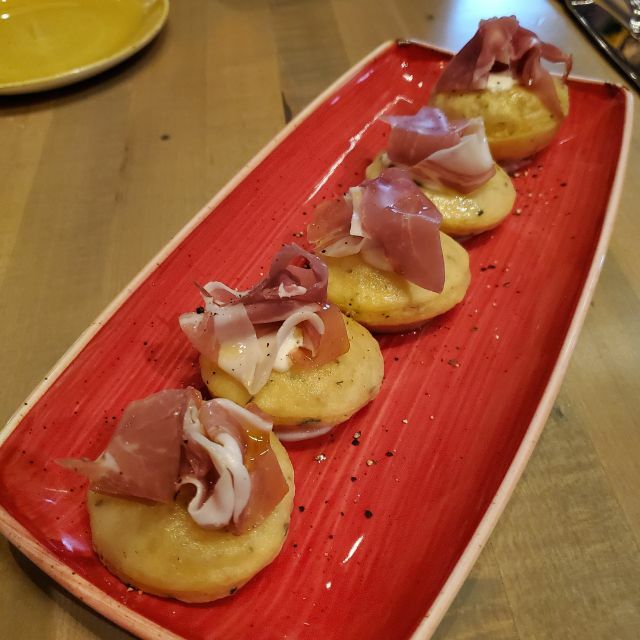 Guests will experience a full-service restaurant between fine dining and fast casual as well as seeing pastas being rolled and cut including gnocchi and agnolotti. 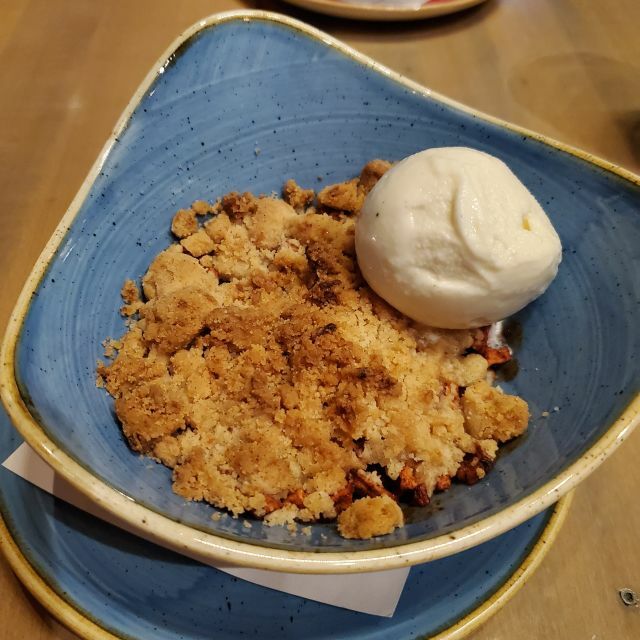 Darrel Truett will lead the kitchen's menu, which will be turning out fresh-made pastas, piadinas, salads, appetizers and signature Italian desserts for lunch and dinner. We got there early and sat at the bar for a bit having drinks and appetizers. The staff there was absolutely fantastic. At dinner, the food came a bit too quickly. Two of us had ordered a salad and they brought the other two people’s entrees before we finished with the salad. Then before all of us had finished with our entrees, they brought us dessert menus. It was all too rushed and we weren’t even an early seating. While the food was awesome and the staff was polite and pleasant, the rush put a slight damper on the whole experience. We got to sit outside on this visit and it's great despite the crowd heading toward the Avs' game. Highly recommended! It was one of the first beautiful Colorado evenings, so we sat outside and it was lovely. Service was great. We shared the calamari which was very tender and nicely breaded with a nicely spiced aioli. The arugula, figs, mushrooms, cheese and dressing complemented each other in the salad. 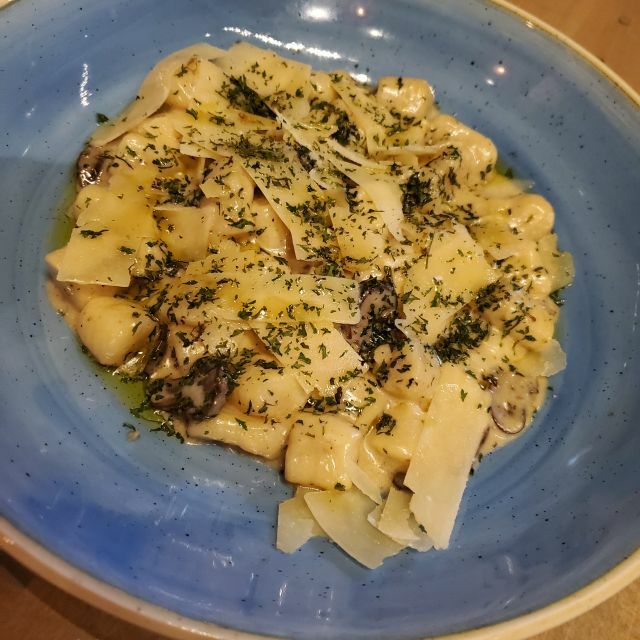 The mushroom gnocchi was fantastic. We added shrimp which were perfectly grilled. Wine choices were seconded by the server and were delicious. We will be back. Great food, great wine and great service! Fun location and well worth going. Interesting and authentic Italian dishes as well as a nice range of wines by the glass including a very nice barolo. Served in a rustic setting. The carbonara and risotto were excellent. Wait staff were friendly, courteous, professional and attentive but not overbearing. It was a slow time in restaurant when we dined so it was quiet, given the exposed brick walls noise levels may higher when the room is full. Such great staff to suggest wine pairings and detailed menu offerings in perfect narrative descriptions. Such great food! Fun ambiance close to all downtown venues as well. Loved this! Loved the food and the presentation. The noise level was high and then the music kicked in too. Chow Morso exceeded our expectations. The service was fantastic, the food was delicious, and we had a great time celebrating a friend's birthday. I wouldn’t recommend for a special occasion. The food was good, but the service wasn’t. Amazing!!! From the moment we walked in every staff member was so kind! Food OMG we are still talking about it. There were 8 of us and we ALL loved what we ordered! Thank you for an amazing birthday can’t wait to come back! Wow! They nailed every aspect of the dining experience. Food, service, ambience, filling my water glass enough but not to much! High on my list of favorites! Thank you for creating an exceptional cozy spot I want to run back to. I brought my husband here for his birthday dinner and we both loved it. We had a feast. The cocktails and wine were great too! I highly recommend their happy hour as well! Great food, wonderful service and very knowledgable staff. We'll be back soon! Chelsea was our waitperson and she made the evening spectacular. This was my fourth visit and I’ve never ordered anything that wasn’t amazing. The chefs do an amazing job here. We celebrated a birthday lunch with wonderful bolognese entrees. Great food, good service, lovely restaurant! Only difficulty is parking. Love Chow Morso! The service was terrible. We had to ask for the server to come back to our table multiple times. The food was good but to be honest, I won’t be returning due to poor service. We started at the bar for a before dinner drink, best Cosmos ever!! 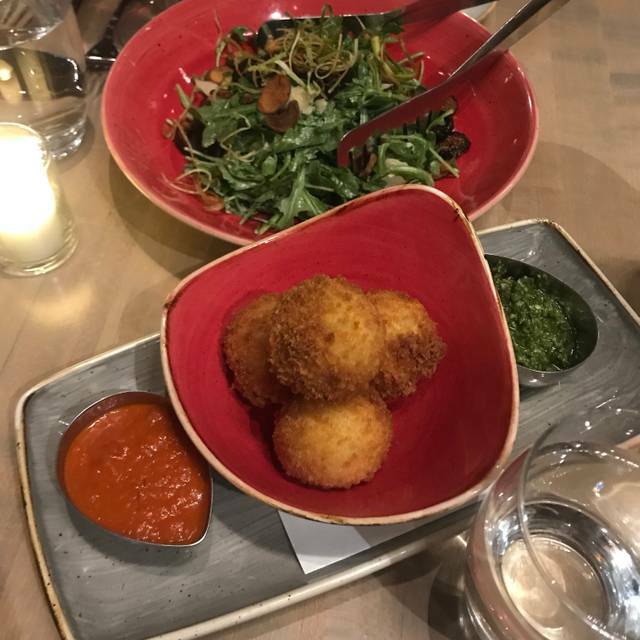 Shared the risotto balls, panzanella salad and the pasta with pesto and chicken. The pesto was the best my well-traveled friend has had outside of Italy! So fresh and delicious! The chocolate cake was the real deal... light but very chocolate-y. The service was perfect, not rushed or slow... perfect! I'm already telling all my friends to check it out and will definitely be back! Ever;y appetizer and plate that was ordered was excellent, perfectly prepared and cooked. Our waitress Devon was outstanding, with great recommendations, knowledgeable and hospitable. We came on a weeknight so perhaps it wasn't as noisy as usual, however there was a good vibe throughout. Had a wonderful meal and place to gather with friends! Great service and amazing food! We had a fantastic evening. I highly recommend! Fantastic food, service & ambiance. Perfect for a date night! Excellent food and service. Reasonably priced for the quality. Decent noise level, could actually hold a conversation without raising our voices even though the restaurant was fairly full. 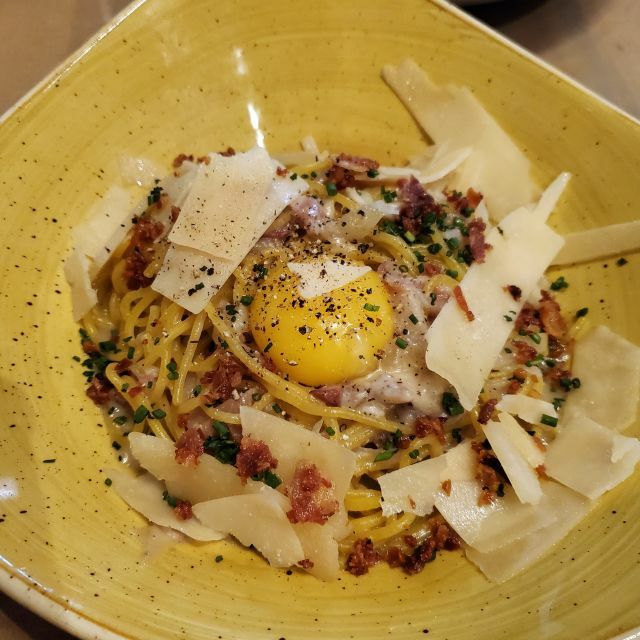 The Carbonara was amazing! We walked out because the service was so awful. We watched a bartender eat olives out of the service bar area. It was very disappointing. We went to Tavernetta instead and it was fantastic. Food delicious, well presented, well priced. HOWEVER, had to wait 20 min for our reserved table, took over 30 min to get main course, though drinks and salad came well paced. Loud techno music added to already noisy ambiance, making conversation difficult on a busy Sat night. Beautiful room and bar. Wines by glass pricey; bottled wine a better deal. Overall liked it. May try a weeknight. Chow Morso is a great addition to LoDo! Menu is diverse and interesting and the wine list is fantastic. No doubt that we'll be back soon. Special occasion-a birthday-which was mentioned in notes for reservation and then either ignored or forgotten. Very disappointing. Beautiful trendy atmosphere, very good food and wine at moderate prices. I would definitely visit again. 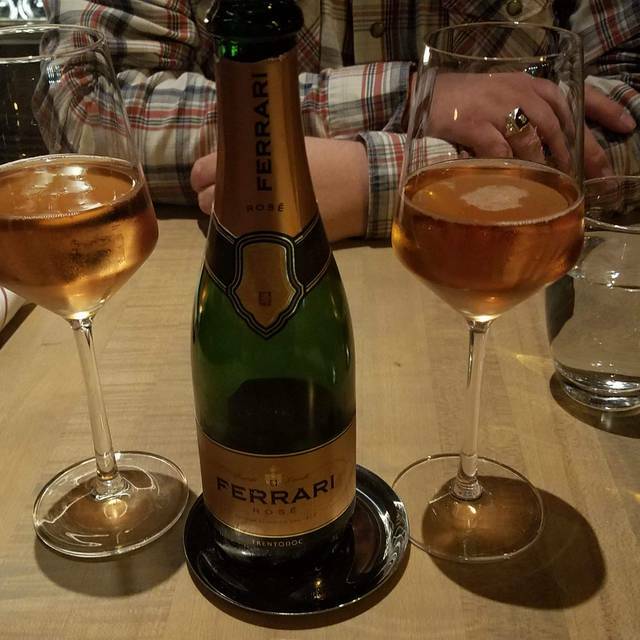 We have been to most of the Italian restaurants in Denver. Many several times. We have never been big fans of Barolo Grill, but were looking forward to to this restaurant because of all the great reviews. We were very disappointed. First, we had to ask 4 times for some bread. Never did the waitress say that it takes a while to toast the bread. We just kept asking. Finally 4 small pieces of bread came out for 4 of us. This is an Italian Restaurant, people eat bread with their salad, it wasn't there, and their main course. I would suggest that they change the type of bread to a warm Italian style, or buy many more toasters. None of us had meals that excited us. My Osso Buco was cooked well but had no flavor, the same was said about the pasta dish. The Branzino was also lacking in special flavors. The risotto was the best dish we had. I think we will stick with some of our favorites. Great service and delicious food. We tried it with a coupon for lunch but will definitely return. I have been here twice and I will be coming back. AMAZING food and great service. We had 2 gluten sensitive people in our group and the gf pasta was phenomenal. 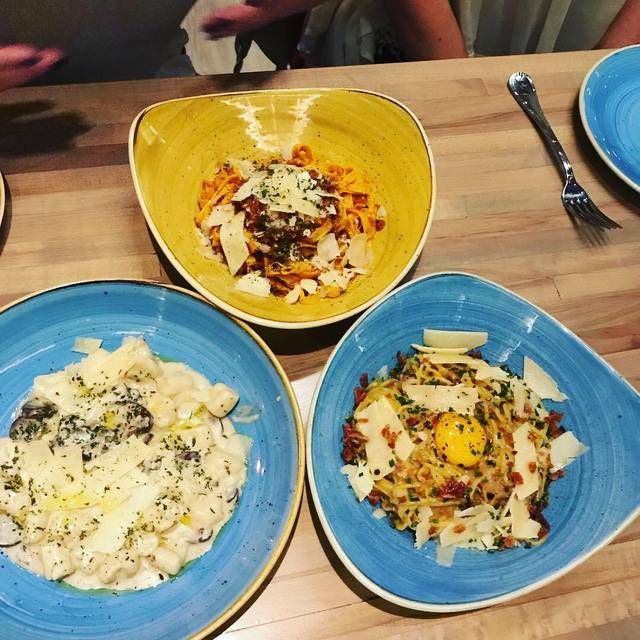 The bologonese and carbonara are incredible. 10/10. Fantastic!!! Fourth visit and this place continues to get better. The tad spicy putenesca was perfect on this cold snowy night. The bolognese is also a perfect pasta choice. Yum! It was enjoyable. 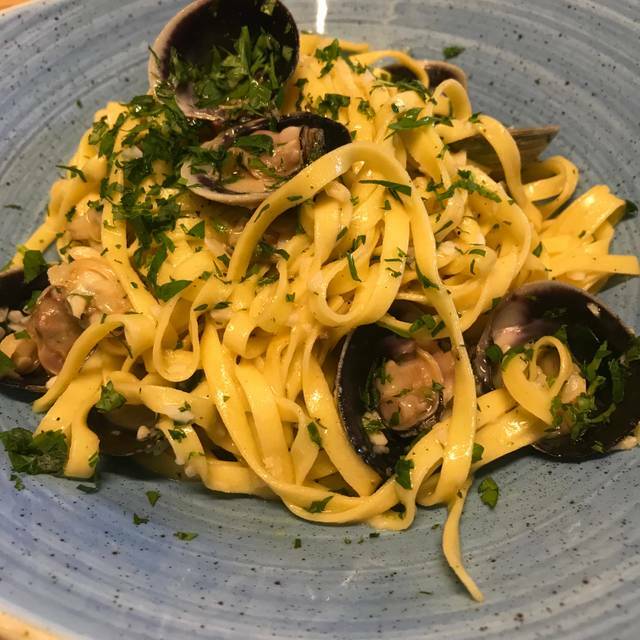 The first time I went there, the food was outstanding- my pasta so reminded me of Italy. This time it was good, but I was not blown away by my choices. loved our dinner here before the show. nice ambiance, great food, good service. Will return!